Procuring the services of a reliable home inspection company is a must or rather should be a must whether you are purchasing a home or selling one. A real estate inspector in Woodbury MN can impart stellar benefits to the consumer by pointing out faults within the house. As a seller, this will help you cover your bases, and as a buyer, it will protect you from making bad investments. Mentioned above is the gist of getting a residential home inspection in Woodbury MN. Despite the obvious advantages, many homeowners and potential homeowners are confused as to what does a home inspection entail. There are also the enticing promises that DIY idea promises and that confuses homeowners even more. 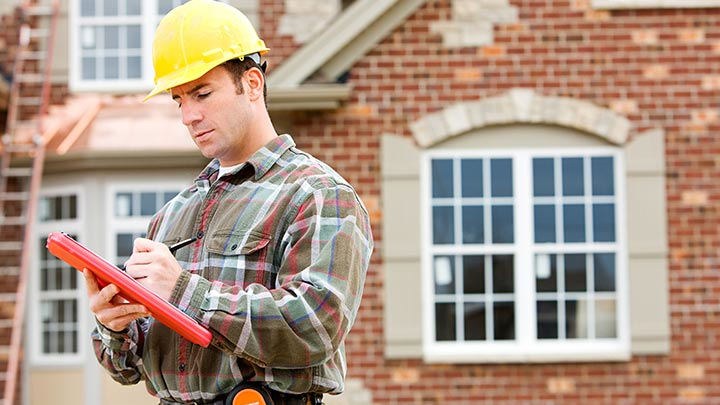 During a home inspection, the home inspector will inspect the structural integrity of the building. Most of the home inspectors have construction experience and can easily spot improperly installed beams and quality lapses in the foundation of the structure. They also check the false ceilings and whether proper insulation has been provided or not. Professional home inspectors come equipped with modern tools and gadgets such as IR cameras. This handy gadget enables them to look for electrical hotspots that are a potential hazard and should be addressed. The IR cameras are also used for detecting moisture intrusion in a home. You can count on a certified home inspector to thoroughly assess the plumbing works inside a home. Any leaking pipes or faulty plumbing fixtures will be identified and observations made shall be added to the home inspection report. Radon is a colorless, odorless, and cancer-causing gas. It is harmless if it is present in quantity deemed safe by EPA. However, if its concentration increases; it can prove to be lethal. That is where professional home inspection services come in. They actively test for radon to ascertain its concentration inside a home. Modern tools and equipment are used for this task. Mold causes several health-related issues and is hard to find since it grows in dark and damp places. However, you can rely on certified home inspectors to actively look for it and identify the areas that are affected by mold. When you hire a qualified home inspector, the air quality of the property is also tested. Professional home inspection services in Woodbury MN provide their customers a detailed home inspection report that features all of the finding of the home inspector in an easy to understand format along with digital pictures to illustrate the observations better. The home inspectors are readily available to explain the report to the customers as well. These are just some of the aspects of the home inspection that can help you understand how a home inspection can prove to be beneficial to you. Do let us know what you think! What are the Benefits of Hiring Chauffeur Drive Cars for the Wedding?